An old small town, 50 km southeast of Bukit Tinggi, it is a centre of the ancient Minangkabau culture. 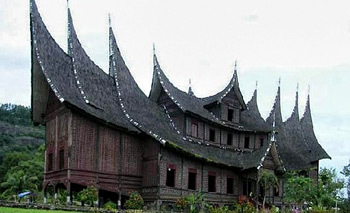 Pagaruyung is the historical site of a Minangkabau kingdom in the 14th century. Nearby is where some archaeological vestiges, such as the Written Stone, the Stabbed Stone and some other relics can be found.